Welcome to this edition of The Gentle Way Newsletter, and a special welcome to all my new subscribers all over the world. If you wish to subscribe to this F.R.E.E. newsletter, go to http://thegentlewaybook.com/newsmailer/links/goto/1362/4-69fd222cc693 where there is a box on the home page to enter your email address. Progress stalled this week. Still having problems with the newsletter. We are almost finished switching web hosting companies, and next is the newsletter. I plan to send all of those you’ve missed. Gaia, do you have equal feminine and masculine aspects to your being, or is that something that we humans try and assign to you and other souls? Definitely I have masculine aspects to my being, but for your purposes, Tom, shall we say I lean towards the feminine side. That would be considered my soul interest, you see. Depending upon the soul interest, you can lean towards the feminine or masculine side, using earth terms you see. As you have been told before, each soul is birthed by a creator or part of that creator you term Arch Angels with a specific interest. And, yes, to answer your next question, there are souls birthed that would be considered neutral in their interests so that they might explore many different interests over the millennia. Would the souls, who inhabit suns as an example, tend toward the masculine side, Gaia? Quite so. But again, they do have feminine aspects—it just depends on how they were birthed. This is a very complex subject and naturally will be discussed thousands and millions of times over the next few thousand years. I will answer this question again for many humans and each will receive a little different answer depending upon their belief systems. So a heady thoughtful start to the day, Tom. We will surely visit this question again one day. Judi writes: Tom, this is disturbing news. Can you ask Gaia what is to become of this mess? Gaia, can you give us an update on the nuclear plant at Fukushima? You or Theo had said in the past that the radioactive spillage would be contained through the valiant efforts of the personnel working there, but there is a report, not sure of the validity, that it has not been contained. Yes, Tom. Certainly there is spillage, but not to the point of affecting a larger area of Japan, nor the United States including Hawaii. There are workers there sacrificing their lives so that the population as a whole will not suffer. 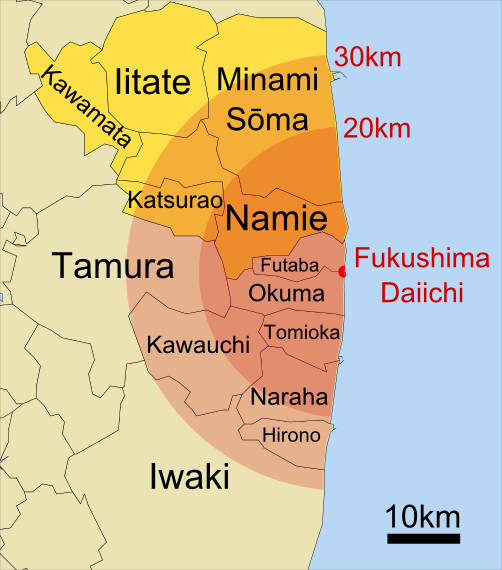 Yes, but what will happen in the event you have another tsunami connected with an earthquake since this area or region of the earth is so unstable? Yes, they are working on that probability, Tom, and that is a potential problem in the future. Barriers do need to be constructed so as to lessen the impact. How long will it be before we learn how to neutralize radioactivity? Quite a few years, Tom, but yes, that will be something humans will discover in the not too distant future, certainly fifty years or more and possibly over one hundred years. It will certainly be an “ah-ha” moment in a lab when your scientists discover a method of neutralizing radioactivity. One good thing that has resulted from the problems with the newsletter (and the reduction of questions from you) is that I have been able to do the first rough compiling of questions into potential chapters for my book. Some of the questions below are to either verify information previously received, or to expand with “follow up” questions that I see need to be asked. Theo, I need to verify the populations of Atlantis and MU. I was previously told both had populations at one point, I think, of 60 million. Is that correct, and also I was told that 35 million Atlanteans lost their lives in the second destruction? Yes, Tom. I can confirm both sets of figures, the exception being that MU was less populated than Atlantis by a few million. Keep in mind that Atlantis at that time had been in existence for 5,000 more years than MU, and when the second destruction occurred, it caused the Pacific ocean to rise well over 100 feet, so there were coastal cities and towns on the continent of MU that disappeared just as it happened all over the world. Therefore, it took them hundreds of years to repopulate again. This continued until the 3rd destruction of the Atlantean islands with some loss of life then as the waters rose, just not as high as they had during the second destruction. Add to this the migration of people leaving MU as the warring began between the countries, thereby lowering the population there significantly prior to the destruction of MU. So, reduce your figures of the population of MU just a little—say 10 to 15% and you will be close to their population prior to the 2nd destruction, and topping out again prior to the wars between both countries. Would you say then the peak population for MU would be a little over 50 million and not 60 million? Did the country I lived in last fire off just one destructive bomb at another country or multiple ones? More multiple, Tom. It was a cataclysmic event. And it was reciprocated in kind by the other countries. The continent just could not sustain itself with multiple explosions. Did the people inhabiting MU have aircraft? Quite so. Again, powered by energy different from today, but their aircraft would be considered fairly close in speed to the Atlantean ones—200 to 300 miles per hour. How far south of Poseidon were the islands occupied by the Sons of Belial, including Aryan? Not a huge distance, Tom. Several hundred miles, but quite within the range of the aircraft of that day and time. That is why the remaining islands were not as occupied as they were far to the south away from all the others. Was Noah caught up in the 2nd destruction or the 3rd destruction, or farther? It was the 3rd destruction as you thought, Tom. The weather became quite unstable and that and the tsunamis again caused great destruction to the Mediterranean area where Noah lived with his family. Gaia, did I miss some event that occurred to raise the ocean levels after MU sank? No, Tom. That was the last time the ocean levels rose a significant amount. You must understand that most of the records that were kept at that time were destroyed by the rapid rise of the ocean levels. As we discussed long ago, there were many people who lived in low-lying areas, such as the land connecting England to the European continent, and they lost their lives. Then yes, as you were going to ask, the boot of Italy did connect to OZ or Africa as it is now called. It just happened earlier than records today indicate, as this was passed down verbally through generations, finally appearing in more modern maps such as the one in the 1500s. But that map was constructed based on very old maps that have disappeared over the ages. Even today old parchments from just 1500 to 2000 years ago disintegrated unless they were kept in perfect conditions, such as a desert environment away from the elements. Then, to verify the figures, MU sank around 7,000 years ago? Or would it have been a little less or a little more? Just a little less, Tom. But for your purposes you have the general time frame for that event. Back to Italy for one other question. So Italy was still connected to OZ or Africa until MU sank, or had the waters already overrun the land when the 3rd destruction of Atlantis occurred? Yes, Tom. Most of the land connection was already lost at that time. The sinking of MU simply widened the Mediterranean to the approximate shape it is today. Would you say the estimates of the Mediterranean and the ocean levels rising approximately 1.5 feet per one hundred years would be correct? No, not quite that much, Tom. Those estimates were based on modern calculations that looked at coastal towns and saw how deep into the sea they went, and tried to calculate when they were above sea level based on how old they thought those settlements were. It was actually much slower after that last major event of MU sinking. Keep in mind it was slightly larger than Australia is today, so it displaced an enormous amount of ocean, Tom. Your modern calculations are erroneous, but will someday be corrected when you learn more about your history from ET visitations. Theo, what type of talismans did the Atlanteans and Lemurians have? Much different than today’s talismans, Tom. They were based on the beliefs of those days and tMimes and on the religions that were in place. Consequently, there were a wide variety of talismans, and some did not believe in talismans depending upon the time period. Some were based on the sun and the moon, some on the deity they believed in, and so on. Theo, was the 2nd destruction 30,000 BC, 28,000 BC or more? Use the figure of 28,000 BC, Tom. That would put the 2nd destruction at 30,000 years ago, although it was just a tad more. 1. Did the concept of Hinduism ever exist in Atlantis and Mu? 2. What is the main inspiration behind the creation of Hindu gods like Brahma (Creator), Vishnu (Preserver) and Shiva (Destroyer)? Are the Gods ETs in any way? 3. Was Krishna a real person? If so, how many years did he live? And what was his purpose of incarnation? Was there the concept of Hinduism in either Atlantis or Lemuria? Definitely there would be some very slight similarities in Lemuria, but this religion grew over thousands of years after MU sank, Tom. Again, I point out that every type of religion has been explored over thousands and thousands of years. What was the main inspiration for the concept of the Hindu gods Brahma, (creator), Vishnu (preserver) and Shiva (Destroyer)? Was it ETs or someone’s inspiration, or simply an evolving religion? The Hindu Trimurti was originally very loosely based on ET contacts, but evolved over thousands of years. But the Earth Directive was in force then, so there should have been little influence, would there not? Yes, but look at India’s location, Tom, and you’ll see a place where there was a seeding of people not really caught up in the Lemurian influence, but rather their own influences. And as you have been told, there were wars dating back thousands of years, with evidence of this pointed out previously. The ETs had to assist in cleaning up the mess. They were looked upon as gods at that time, and their religion took on these aspects and simply grew. Was Krishna a real person? Theo said I should read more about Krishna so we can talk in more detail. For my new readers, Antura is a member of my soul “cluster,” as Theo calls it, and Theo introduced me to Antura in 2008. After I got over the surprise of someone else tuning into our conversations (and have since learned there are others), I asked hundreds of questions about his life on his home water-world planet and about the rest of the galaxy and universe (and even the three universes close to ours). You can read these in my book FIRST CONTACT: Conversations with an ET, which by the way would make a great Christmas gift! I continue to ask more questions, so feel free to send me your questions too. Antura, do the Federation members utilize black holes in some form or fashion, or do they stay well away from them? Yes, Tom, we are able to utilize them, so no, we don’t avoid them. How we utilize them I’m not permitted to say. This is something that either your scientists will learn one day, or perhaps they will be informed. That is something to be decided in the future, you see. We have several hundred years of earth time to make that decision. You will have learned a tremendous amount of knowledge by that time about the workings of space. 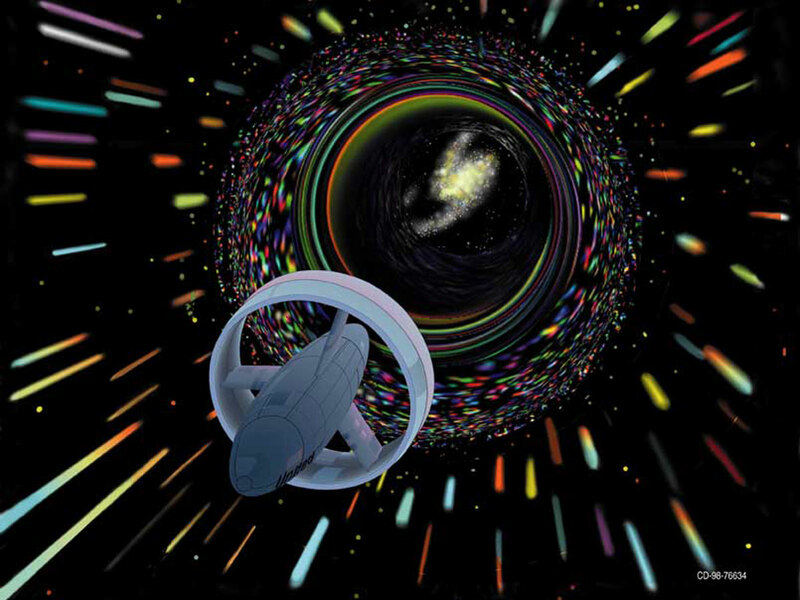 Is a wormhole the same as a portal? Not exactly, Tom. As you learned previously, there are 60 portals on Earth—many more than the average planet. Wormholes are slightly yet significantly different. Here we enter the realm of quantum physics and even your scientists have only theories. We must leave this for them to discover one day in the future, Tom. So these portals are not worm holes? Again, yes and no. They do cross time and space, but again are not quite the same. Two different animals to use your vernacular. Joanne writes: What causes MBOs to be ignored by the Universe? 1. The MBO request is not benevolent for all of those affected by the MBO request. 2. There is so much self-doubt that for a few people it seems to cancel out the request. 3. People are impatient for an MBO to happen and some can take months or even a year. 4. Even though the MBO request does not seem to work, it's because there is something much better on the way. “Hi Everyone, I'm writing to thank you for all your well wishes for my mom yesterday. Her surgery went well and the doctor expects her to make a full and rapid recovery. We expect her to be in the hospital until Friday. Keep those well wishes and positive thoughts coming! I know she appreciates them immensely. This type of BP is something you can organize for your friends when they must have any type of medical procedure. When I got to his office, there was no one waiting for an appointment (mid day, which is unusual not to have others waiting). I met with him, and the time went fast and smooth and easy. I was provided with the information I needed and we kind of laughed for a moment or two in a light-hearted way about the snail mail never arriving; and I was out of the office smiling, and he was too, within 15 minutes’ time. That was yesterday--MBO outcome. Karen writes: Hi Tom. I have highlighted a question you did not respond to in the 03May14 newsletter. Theo, did Jesus not know that a religion based on his teachings would arise? And if so, why did he not die and rise up? Yes, what does seem confusing to people at this time, Tom, is that Jesus was a human, but also knew his soul contract of which no one else on Earth was aware. He knew he had much work to do. Naturally, his hope was that his teachings of unconditional love would take hold, but he also needed to spread this farther than just that small area he taught in. Men concocted the story of him rising from the dead, as Jesus’ release from captivity came with the order to get out of town and don’t come back. To his disciples it was as if he had risen from the dead, since he was supposed to be crucified on the cross, which is what they all thought had happened. The story grew and was embellished. Keep in mind there were already stories existing of claims that some person or other had arisen and that became what everyone believed happened—all except Jesus’ closest family and disciples. Then you have the Council of Nicaea voting to claim that he was the Son of God a little less than 300 years later. All these events added to the legend. They knew what message he taught, but the church leaders wanted more power and money flowing into their coffers. Your readers should go back and review where Jesus traveled to after his supposed death as he pretended to be a simple disciple. www.TheGentleWayBook.com --Great resources: Sign up here for the newsletter. Sample Chapters of the first book, videos, Signs, Articles, Archived Newsletters, and more!